Sometimes it's strange to think just how long certain games have been around and how sculpts have changed over the years. I got in pretty much on the ground-floor of Warmachine, back when units still came in "leader" and "trooper" blisters and everything was pewter. You could get certain warcasters only in the starter boxes. Now it's odd to think that my starter-box Stryker is possibly a rather rare item. 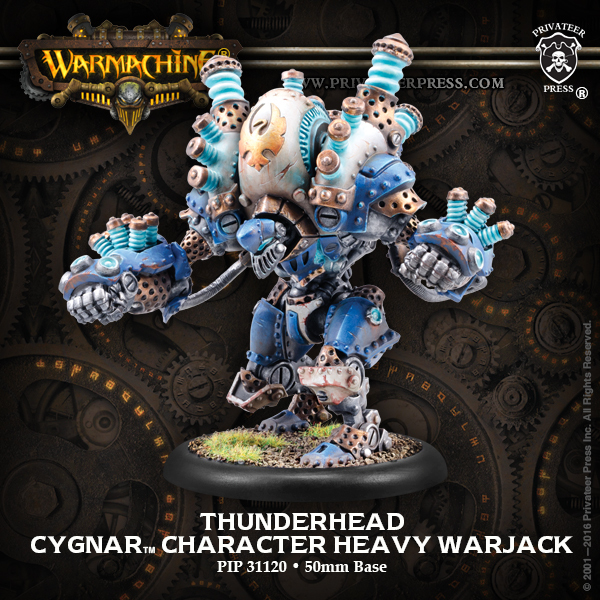 Well, it seems my all-metal Thunderhead might be a rare thing at some point, as Privateer Press is showing of a resculpt for it. As you can see, the Thunderhead got a little bit of a pose change, but is still pretty big there on its base. 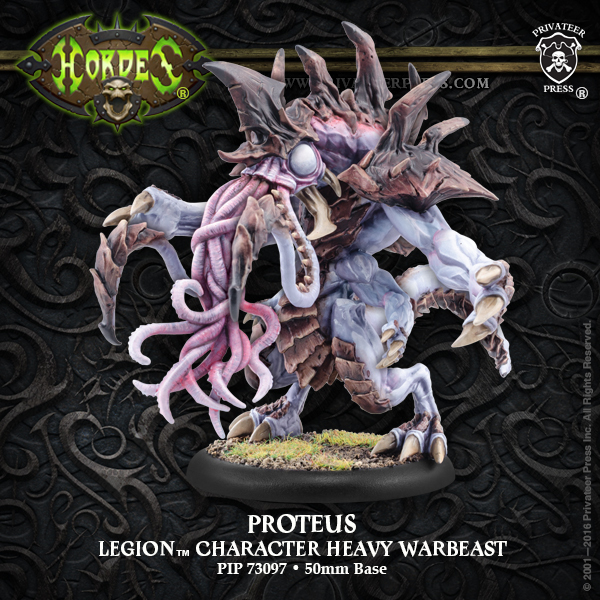 For the Legion of Everblight, their character heavy warbeast, Proteus is getting a resculpt as well. I know the Thunderhead was originally all in pewter. Looks like he'll be getting some resin parts, as will Proteus.